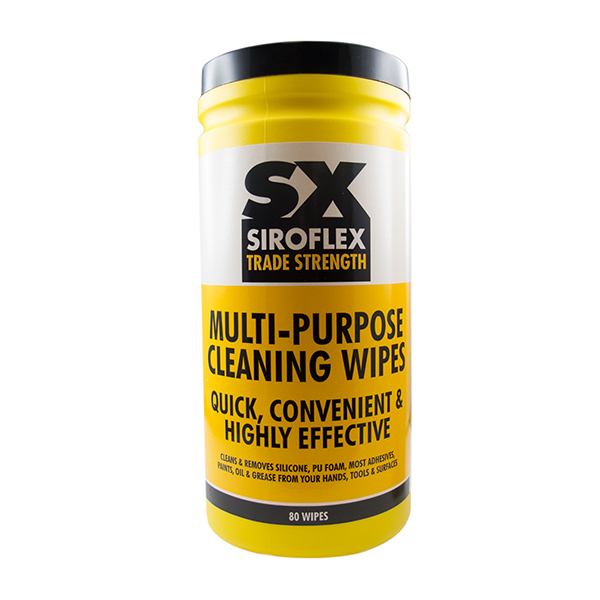 A quick, convenient and highly effective cleaning wipe to clean hands, tools and surfaces. SEALANTS & ADHESIVES - Uncured silicone sealant, epoxy stains, spray glue and rubber cement. GREASE - Oil, lubricants, ink, dirt, grass stains, petroleum based products. PAINT - Acrylic, spray, oil and water based paints. Effective up to 24 hours after the paint has dried. GENERAL CLEANING - Will refresh and clean old paint and sealants. Ideal for stain removal from most work surfaces.